If you need a new faucet installed whether it’s the kitchen faucet, bathroom faucet, or any other faucet in the house SJS Handyman can help! Installing new faucets is a common task for us. 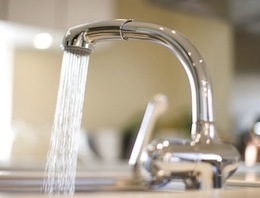 If you think you could benefit from having a new kitchen or bathroom faucet please feel free to contact us. Most of our customers like to pick out and purchase their faucets on their own and have us later install them. However, if you need help deciding what kind of faucet to choose, please contact us and we’ll assist you. Call 760-580-5224 for faucet installation in San Marcos or surrounding areas or submit a quote request today! We’re happy to assist you.